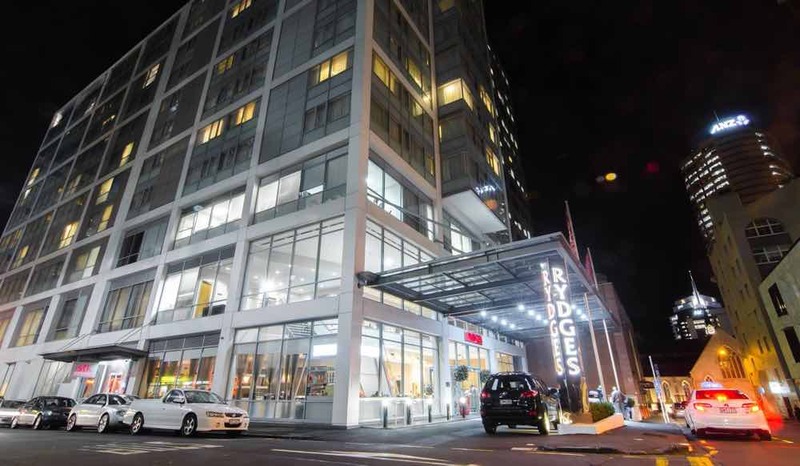 Rydges Auckland, the newest and freshest Auckland hotel, is primed to set a new standard in style, service and contemporary elegance with a well needed breath of fresh air. The city's latest hotel mixes elements of London sophistication, Sydney cool, New York style combined with the warmth of world class Kiwi hospitality. Worthy of the most discerning traveler, Rydges Auckland is the city's best kept secret…… until now. Offering Auckland accommodation in close proximity to the centre of the city makes it ideal for both business and leisure. Take a short stroll to the Viaduct Harbour, Auckland's stunning waterfront with an array of restaurants and bars. Auckland has an abundance of shopping to satisfy the shopping addict's in all of us right on our doorstep. High Street and the Chancery are home to original fashion designers, artists, jewelers and café owners converging on this narrow, meandering street transforming it into one of the central city's best shopping attractions. If you are here to soak up a world class concert at Vector Arena, look no further for a stylish hotel to feel like a star. Standing proudly above the city on Hobson Street, Rydges Auckland Hotel presents the new Hobson Tower, complete with 88 stunning guest rooms to form a 267-room urban oasis in the heart of Auckland. The newly revitalized rooms are designed to exude warmth and sublime comfort. Each accommodation includes a specialized workstation, 32 inch LCD television, air conditioning and up to the minute broadband and Wi-Fi access for the internet lovers in all of us. All rooms enjoy views of the inner city, many looking over the Sky Tower, while the Harbour View rooms enjoy sweeping views of the Auckland Harbour Bridge and the picturesque Waitemata Harbour. Auckland is New Zealand's gateway city and we couldn't be better placed in welcoming you to the land of the long white cloud. Our friendly and attentive team are on hand to assist you in exploring Auckland and beyond. We are dedicated to ensure your expectations are exceeded with passion in a fresh and friendly contemporary hotel environment.